The team at NDAC is committed to 100% customer care, if you have any comments, questions or queries please feel free to contact us using the form below. National Diving & Activity Centre will use the information you provide on this form to keep in touch with you and to provide updates, offers and marketing. 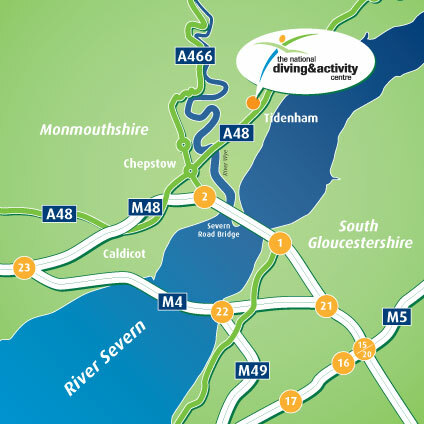 The National Diving & Activity Centre is located 1.2 miles east of Chepstow on the A48.